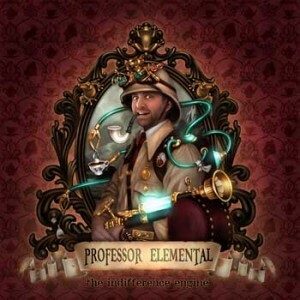 Prof Elemental : a steampunk mad professor with a fondness for adventure, strange animals and the pursuit of a good cuppa. He has a new album out, the delightfully titled Indifference Engine. Some people have managed to create working CPUs (or ALUs) in Minecraft. They're slow and have little computing power or memory, but I still think it's an interesting case of recursion. Minecraft simulates a physical world, and these are computers created within the confines, and conforming to the rules of that world. In any case, some links to information/videos about creating CPUs (and ALUs) in Minecraft follow. Let me know about other CPUs/ALUs etc. in the comments. Some interesting/educational videos on the workings of mechanical watches. A webcomic consisting of the chronicles of Charles Babbage (the inventor of the first computer, which, alas, was never built---but it might be soon: see here!) and Ada Lovelace (the first computer programmer) in an alternative world where Ada Lovelace didn't die at age of 36, and where Babbage and Lovelace successfully developed the first computer (giving humanity the necessary technological advantage to repel the alien invasion of 1898) and went on to use their combined powers to fight crime and have thrilling adventures. Part of what I really like about this comic is its footnotes. Yes, it has footnotes, references to various primary (and secondary) sources relevant to the comic, like Babbage's autobiography. 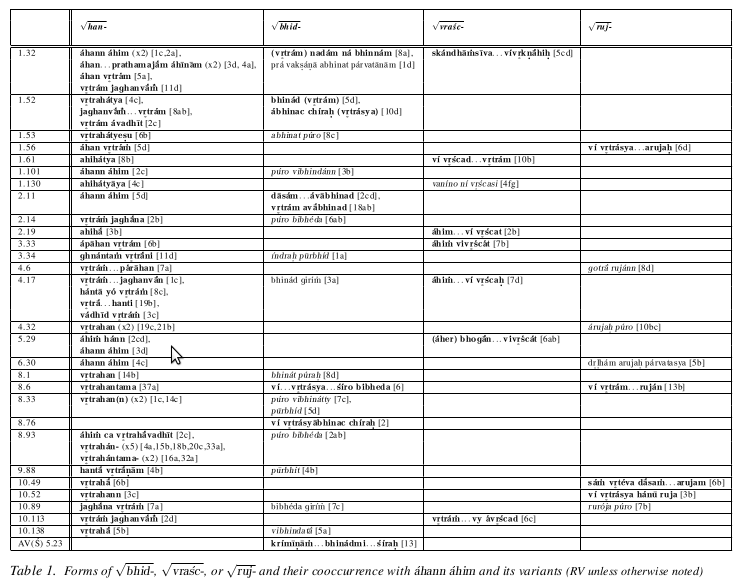 Tables in LaTeX are sometimes somewhat difficult to manage; in particular doing anything with columns---in contrast to most word processors, which allow for the manipulation of columns in certain environments (e.g. tables). 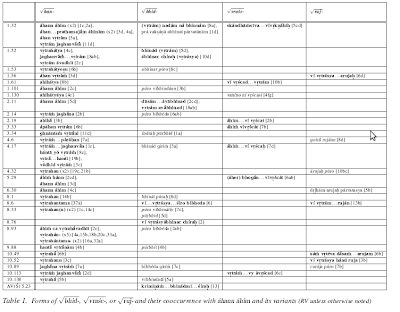 However, the text editor Emacs in fact allows for rectangular selections anywhere, which means that using Emacs as an editor for (La)TeX files makes working with tables easier. 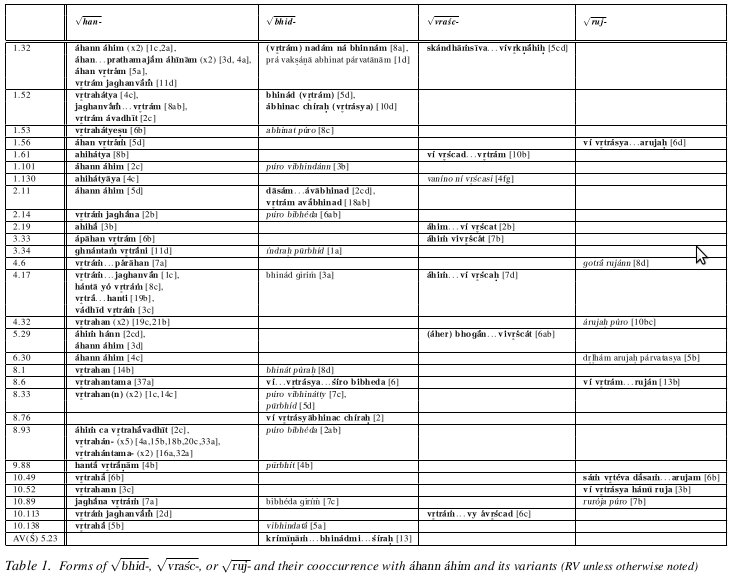 The AUCTeX package for Emacs adds a vast number of useful features; however, it does not automatically format tabular environments. 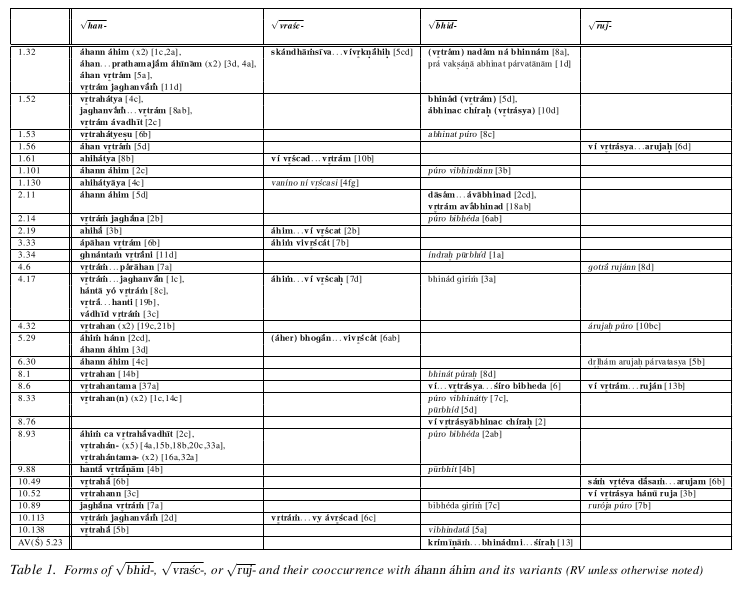 Here I offer some notes on how to deal with LaTeX tables in a Emacs/AUCTeX environment. A rectangular selection will work only if we have our columns aligned in our source .tex file. The align.el package for Emacs is needed here (as of Emacs 22, this functionality is built in). All of our columns are now aligned. Now we need simply to select a rectangular region. There are (at least) two ways of going about doing so. Firstly, the ability to select rectangular regions is a built-in feature of Emacs (see the relevant section of the Emacs manual). Simply select the columnar area (mark it using C-SPC) and press either C-x r r to copy the rectangular area to the register or C-x r k to cut ("kill") the rectangular area and place it in the register. And then use C-x r y to paste ("yank") the copied/cut rectangle into the position you want it (with the cursor in the position of its upper left-hand corner). 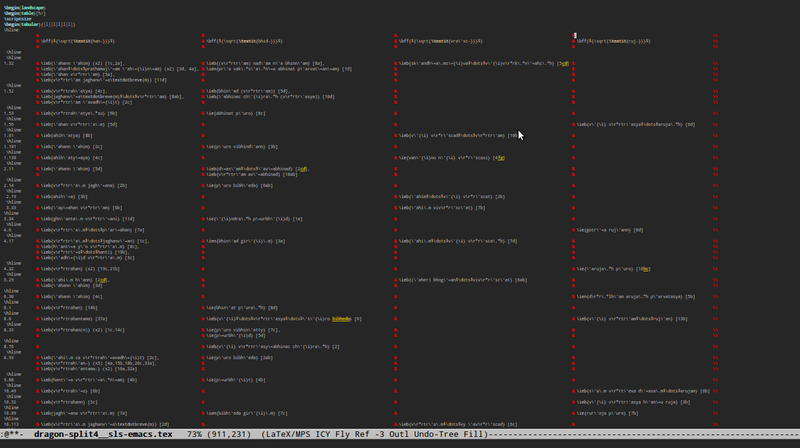 Oh, and here is a nice video demonstration of the use of rectangular selection cut-and-pasting (with CUA-mode): Emacs Column Editing by Mark Mansour. 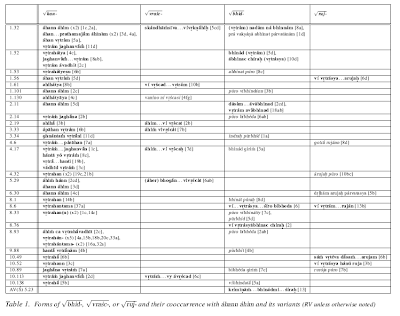 It doesn't deal with LaTeX, but rather HTML; however, it illustrates the general use. As noted below, I've switched from Icecat/Firefox+Pentadactyl/Vimperator to Conkeror. 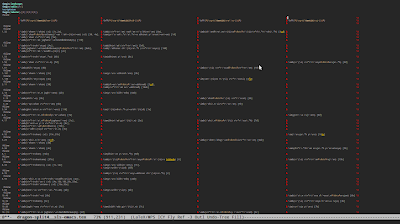 Trying to retool the essentially vi-ish shortcuts to emacs-like shortcuts is rather difficult, and in the end I wasn't able to change some of the shortcuts I wanted to change. Anyway, Conkeror is simply more interesting: more of a from-the-ground-up approach than an add-on approach. This post isn't intending as a general intro to Conkeror; if that's what you're looking for, see here or here, or, if you're running Conkeror, press C-h t (that's Ctrl and h at the same time, release, then t) for a tutorial. Rather like Emacs, Conkeror gets much better than more one personalises/configures it. 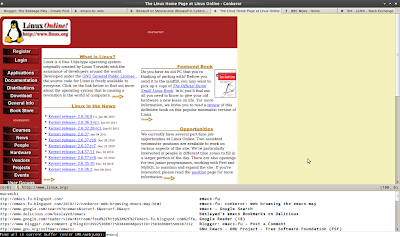 Some good places to start are on the Conkeror site itself, on Tips from Users page and also the emacs-fu article "conkeror web browsing the emacs way". In the same spirit, I offer a number of useful customisations I've adopted, some from the two above-mentioned sources, some from other places (including from suggestions on the Conkeror mailling list), and some of my own. These are settings taken from here and there. Turning on the mode-line, allowing the url completion (very handy) to access history and bookmarks, and displaying the url of a link (in hints mode). The first allows for favicons in both mode-line and the C-x b buffer list, the second shows how many buffers are currently still loading, the third shows how many buffers are present and which buffer is the current buffer, the last simply disables the clock. The order of the first three is actually important; this order puts the buffer count on the far left, then the "loading buffer" count, then the favicon, (and then the url of the current buffer). clicks_in_new_buffer_target = OPEN_NEW_BUFFER_BACKGROUND; // Now buffers open in background. I like having tabs, and the first bit above turns on the tabs, with numbering (but no favicons). I still find it useful to use the mouse from time to time. What's annoying is having to switch from keyboard to mouse or vice-versa. So if I'm using the mouse, I want it to be effective. The second bit above opens new buffers/tabs on middle-clicked links (in background buffers). The last bit allow for quick switching between tabs (the first 10 anyway) using 1-10 (where 0=10). Other useful things to know (though not dependent on this particular configuration): tabs can be closed directly with right click; you can scroll through your tabs by positioning the mouse pointer on the tab bar and using the mouse wheel. // view source in your editor. Set emacs as an external editor (assuming you're running emacs as a daemon), etc. // redefine C-f as "forwards" and C-b as "backwards"
I prefer using l for following links in hint mode, so that's another binding added above (f still works too). And I added M-l as "follow link in new background buffer" (works like middle-click). The last bit is a new command for opening URLs in new background buffers, but I haven't thought of a good keybinding for it so far. // use M-Y to google current selection in new buffer "double-quoted"
By default, (outside of text boxes, where, again, Conkeror has the expected Emacs-ish behaviour), M-w copies the selected area. And C-y opens whatever's in the clipboard (I would say kill-ring, but it's not) in the current buffer---assuming that what's in the clipboard is a URL. The above code adds two new commands, performing a Google search on the current clipboard contents, and performing a Google search on the current clipboard contents double-quoted. I bound these to M-y, and M-Y, respectively. Oh, in general, adding a C-u prefix results in the command being executed in a new buffer. So C-u M-y performs a Google search on the clipboard contents in a new (focussed) buffer. // make C-c C-c "submit form"
// make C-x 0 "kill current buffer"
// make C-x 1 "kill other buffers"
// make C-x 2 "duplicate buffer"
Use C-c C-c to submit forms. Now Conkeror doesn't have "windows" in the Emacs-sense. It has buffers/tabs. So the above commands depart somewhat from being truly parallel with Emacs behaviour, since in Emacs these commands all involve window management. But I still find it useful to have some keybinding for these commands, and these make a sort of sense to me. C-x 0 closes the current tab-buffer (C-x k is the command for "close buffer" in general; it defaults to the current buffer, but requires another keystroke (Enter)); C-x 1 closes all tab-buffers except for the current one; C-x 2 duplicates the current tab-buffer in a new tab. This sets the default download directory to "~/Downloads". "cwd" is useful, and can be used cross-platform. It gets the "home directory". The last line obviously appends "Downloads" to the home directory location. Show xkcd mouse-over text on the page below the cartoon (it would be nice to have another way of handling mouse-over text though). The second command handles how the download info buffer is handled; here it opens in a new tab rather than opening a new window ("frame" in the Emacs sense). The last bits makes sure that if by accident I hit C-x C-c rather than C-x C-v it doesn't close everything without asking me, and then final line disallows killing of the last buffer. Webjumps are a useful feature of Conkeror. In the mini-buffer, instead of typing a url, one can type a webjump. A number of such webjumps are built-in to Conkeror already. For example, "google emacs" will open a google search for "emacs". Actually, "g emacs" will do the same thing, and that's preferable since it's relatively quick to type. Also, "wikipedia emacs" will open the wikipedia page on "emacs", etc. Conkeror also already has webjumps designed for use with del.icio.us (press C-h i for more info).